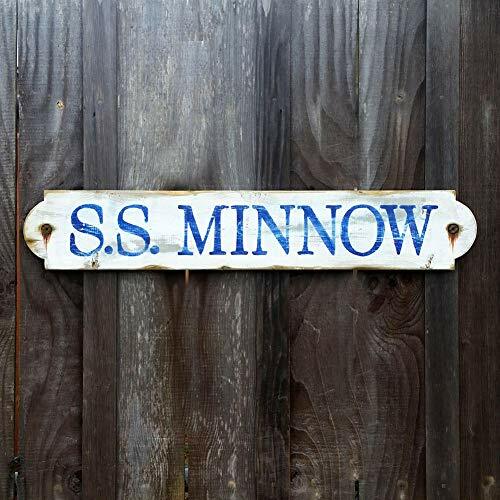 I hand painted this S.S. Minnow Gilligan's Island boat sign with a lettering brush on a pine panel. No printing or stenciling. I distressed it to look like it was on the boat for years, with realistic rust marks from the attaching screws. Sawtooth hook on back. Sure to be a conversation piece in any Gilligan's Island fan's house. Size is 5.5 x 32" on 3/4" thick pine. Notice the ballpoint pen for size comparison.